In the UK, invasive non-native species are a big problem, with Japanese knotweed removal costs making it the most significant species in terms of national treatment. However, in parts of Spain, it is a non-native snail that is wreaking the most havoc. 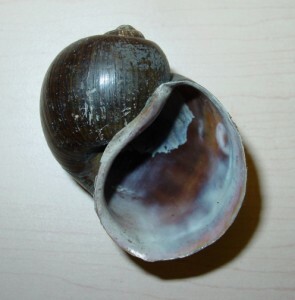 In the Ebro Delta, on the Mediterranean coast, the island apple snail (Pomacea insularum) was first identified in 2009. Now the worst affected areas have 12 snails per square metre. The adult female snail is capable of laying 400 eggs, recognisable by their bright pink colour, every five to 15 days between April and November, and it is feared that the snail could easily spread further in the EU if it attaches itself to migrating birds or the hulls of boats. Each snail is capable of eating the roots of up to 15 rice plants every day. They are already responsible for destroying the crops of many farmers, threatening their livelihoods. “I first saw the snail in an irrigation channel in 2010. The following year we found them in my rice fields. This last year has been catastrophic and our struggle to remove or control them [is] extremely expensive. The plague has spread like wildfire. Now farmers and the public bodies cannot keep up with it. Seeing the extent of the damage, I feel anxiety for the future of my livelihood and family”. The EU and local farmers have tried to manage the invasive species by drying out the fields over winter and flooding some with salt water. The EU had previously provided the farmers a subsidy if they flood their fields over the winter to provide a wetland habitat for birds and fish, and qualification for the subsidy was suspended between 2010 and 2013 in an attempt to control the spread of the snail. However, the suspension of this subsidy has expired and will not be reinstated because the fields are no longer seen as a good habitat for birds, partly because they were dried out in the winter. Japanese knotweed removal, by contrast, does not require the drying or flooding of a river delta to be effective! Japanese knotweed removal can be managed in a number of ways to suit the requirements of the site. These are outlined here.